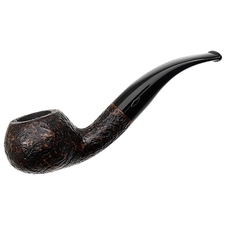 Brebbia's Ninja series features a variety of shapes dressed in a dark stain and paired to a dark, amber-hued acrylic stem with a pale accent ring at the base. 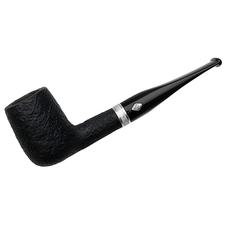 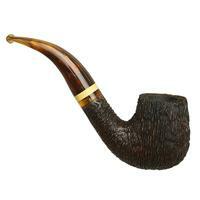 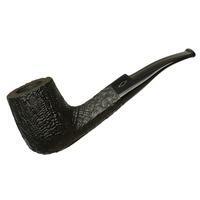 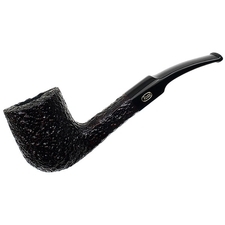 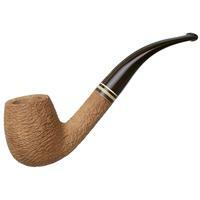 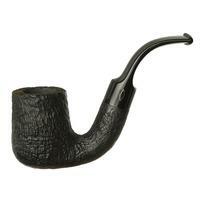 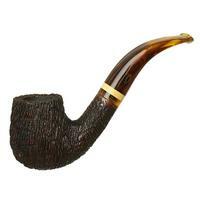 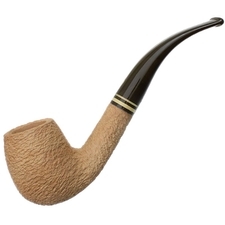 Offered here is the "6002" bent Billiard. 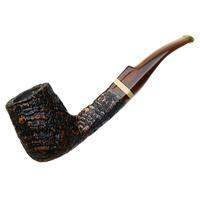 It's wearing the Rocciata ("rusticated") finish, displaying a crisp, bark-like texture to delight the palm.